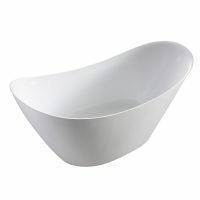 For a large freestanding bathtub that exudes elegance, consider the Galaxy Square Freestanding Bath. Boasting a minimalist seamless design, this very popular freestanding bath is guaranteed to redefine your bathing experience. As one of the most stylish baths in our range, it is not hard to understand why the Galaxy Square Freestanding Bath will instantly become the focal point of your bathroom design. It is manufactured to the highest standards and made from the best materials. The double-skin is made from Lucite acrylic sheets that are up to 50mm thick, which only reinforces the robust nature of this product. Yet, this bath is surprisingly lightweight at just 40kg. To enhance your comfort level and to create a truly enjoyable bathing experience, the Galaxy Square Freestanding Bath is also fitted with an offset waste unit. 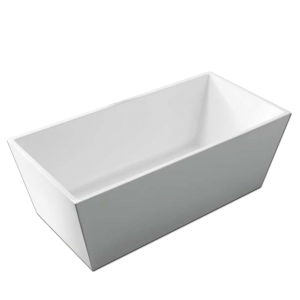 This bathtub is available two size options of 1500x680x550mm and 1700x750x580mm. 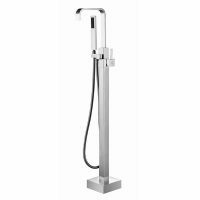 Therefore, not only is it also suitable for standard size bathrooms, it is also easy to install. Spoil yourself with a little luxury. 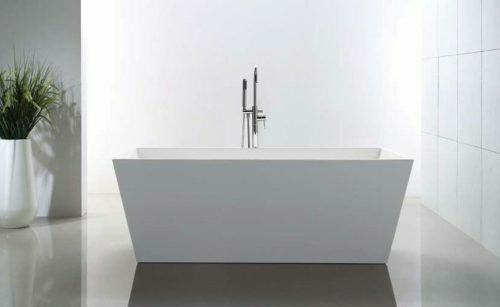 Include the Galaxy Square Freestanding Bath in your bathroom design. 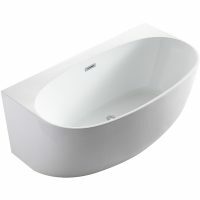 Ross’s Discount Home Centre offers this elegant freestanding bathtub at a very affordable price, so purchase yours today before stocks run out.